Australia Post has been paving the way for over two centuries as Australia’s most respected and recognised postal service provider. Their ability to identify and appropriately react to maintain market position has never been more evident than its addition of StarTrack in 2012. 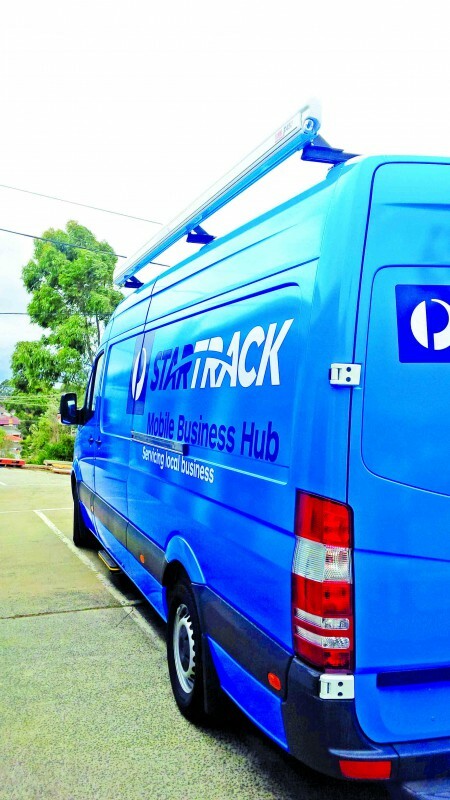 Seen as an opportunity to further expand its role in the community, StarTrack has allowed Australia Post to adequately deal with the influx of online purchases made by almost 11 million Australians each year. The next step in the evolution for Australia Post and StarTrack focused on the development and refinement surrounding its business hubs located across Australia. 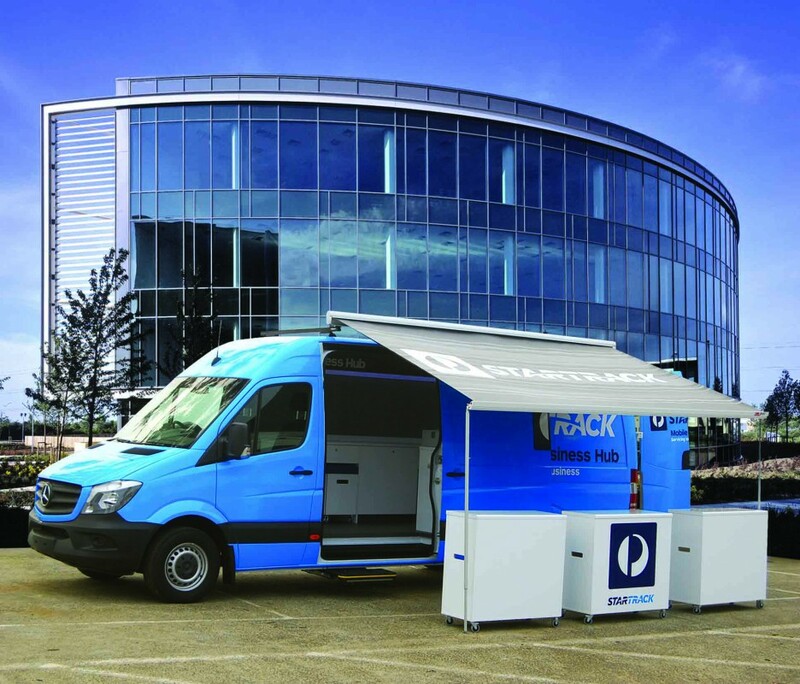 Australia Post envisaged a new era for parcel delivery with the introduction of mobile business hubs, a venture yet to be fully explored in the postal service sector. With no true blueprint to work from, Australia Post sought professional advice to tackle the challenge. 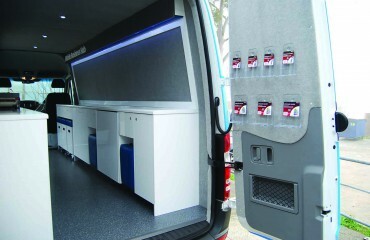 VQuip was able to provide Australia Post with a framework to begin exploring concepts for the project. 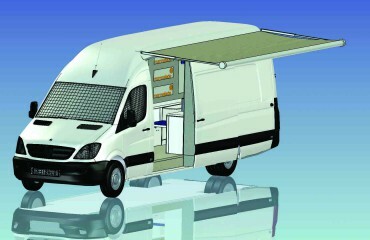 With its years of experience in the vehicle customisation industry, VQuip was ready to tackle the challenges of this unique project head on. The requirements for the project would serve two distinct purposes. Firstly to bring their products and services directly to the customers, strengthening its position as a local service provider giving teams the ability to respond promptly to competitor activity and act as a mobile trade stand. The second focus would be on generating awareness of the brand by highlighting the business hub network, helping to grow revenue in local catchments across Australia. 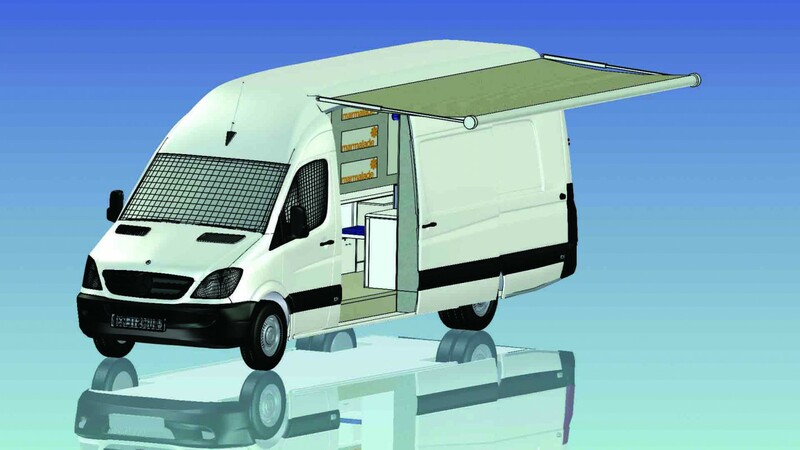 Given a six-week deadline – from initial sketches to final rollout- it was essential that each vehicle matched the criteria set by Australia Post and StarTrack. 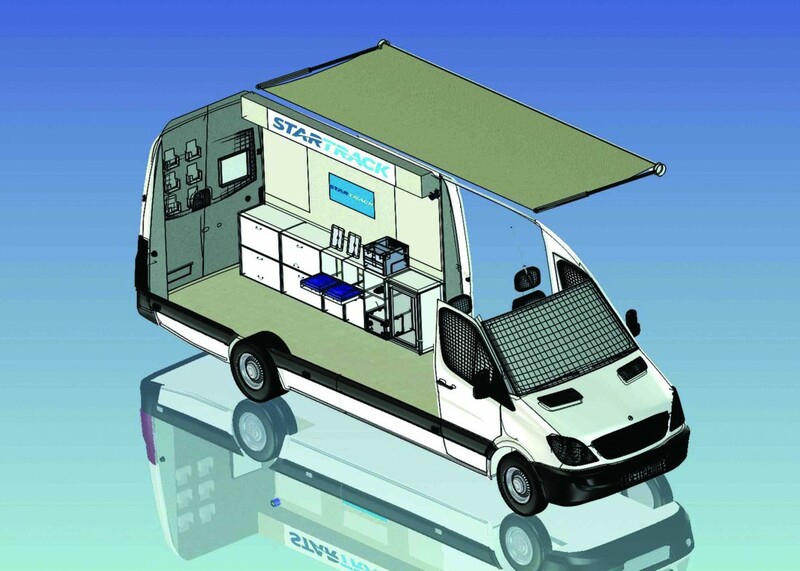 As the mobile hubs would almost double in footprint size when setup, each van had to be sturdy yet lightweight in its design, possessing an interior structure that would support the excess weight whilst allowing for enough room to provide easy access loading and unloading each vehicle. These elements included banners, popcounters, additional seating along with weather protection capabilities, pull-out awnings and pop-up marquees. The electronic system supporting the fleet of mobile hubs was complex in nature. 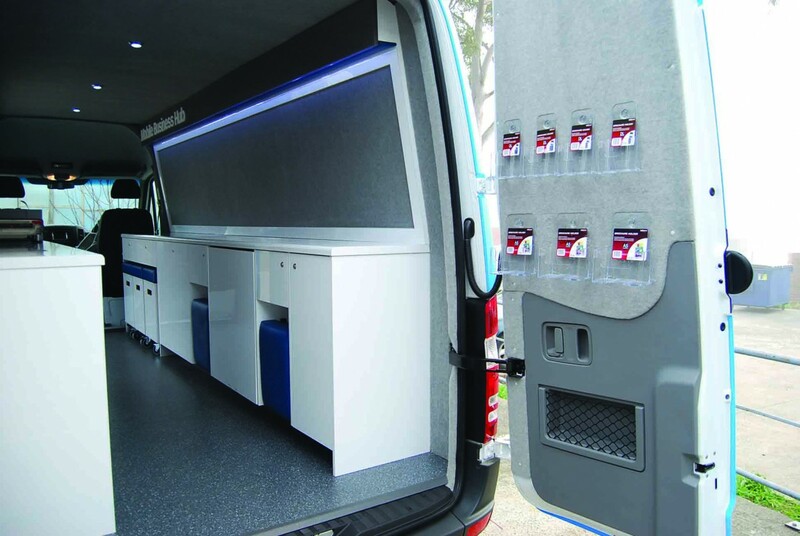 Each van would need to sustain a diverse range of electrical equipment including ipads, EFTPOS systems, printers, screens and safes to ensure customers could be appropriately attended to on the spot. 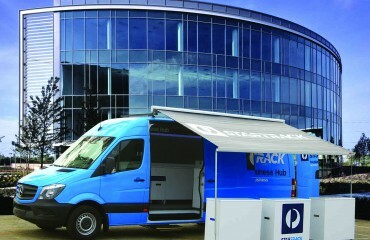 With its initial introduction in late 2014, VQuip was able to provide Australia Post and StarTrack with a unique vehicle design that would be able to drive innovation in the parcel delivery segment. 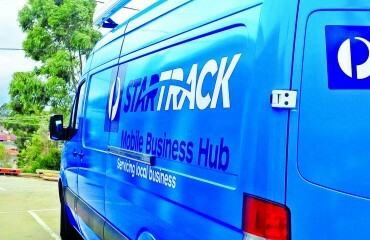 Australia Post and StarTrack have already begun to see significant benefits as a result of the new mobile business hubs, being launched in Victoria, New South Wales and Queensland. Moving forward in 2015 all parties (Australia Post, StarTrack and VQuip) look forward to continuing their partnership and expanding upon the current fleet of vehicles, bringing postal services to each and every corner of Australia.